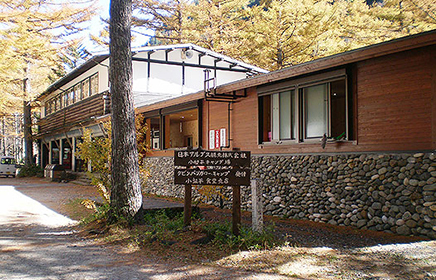 Locacted just a short walk from Kappa Bridge, Konashidaira offers cabins and tent camping sites in a beautiful forest setting. Please take a minute to read our ENGLISH GUIDE before making a reservation request. Please specify “Cabin” or “Fixed Tent” in the “Type of room” section on the reservation request form. If you are have your own tent reservations are not required. 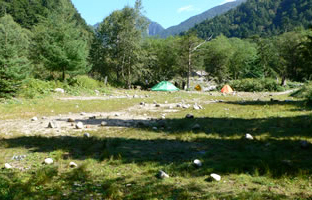 Konashidaira Campsite begins taking reservations beginning on February 1, 2018 for Kamikochi’s 2018 open season. 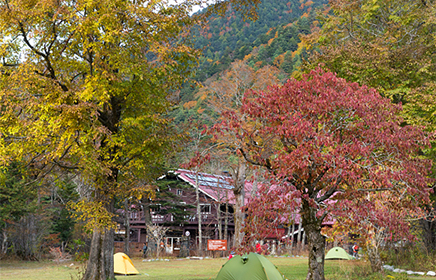 This camping site is managed by Tokusawaen. For reservations and other questions please visit their website. This camping site is managed by Yokoo Sanso. For reservations and other questions please visit their website.